Monastic breweries – especially the 11 Trappist breweries of Belgium, Holland, Austria, Italy and the USA – have a great reputation. Stick a picture on a monk on a bottle of beer then and you’re all set. 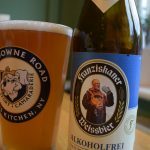 To be fair to Franziskaner, there’s some history behind its logo, which has featured an image of a friar drinking from a stein since 1909. One of the world’s oldest breweries, the first mention of Franziskaner was in 1363. It’s named after the Franciscan monastery, which the brewery was apparently neighbours with when it was first established. The current set up isn’t quite so romantic, despite the old-school branding, with global beer giant AB-InBev owning the brewery since 2004. 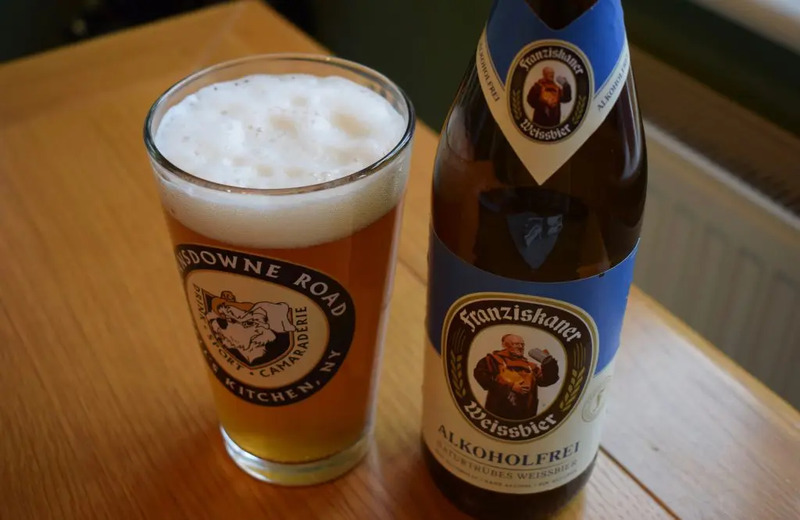 Franziskaner started brewing wheat beer in 1964, but didn’t sell it beyond Bavaria until the mid 1980s. 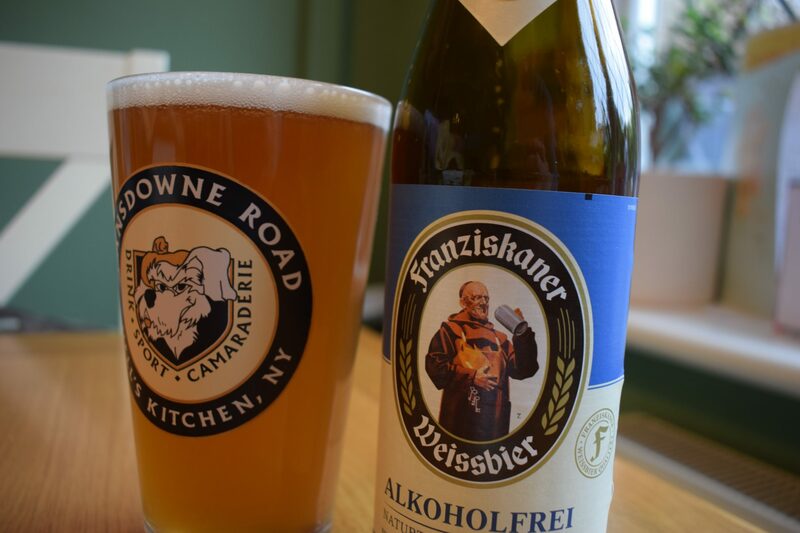 This “Alkoholfrei” version won a Gold Medal in the alcohol-free wheat beer category in the 2015 World Beer Awards. It launched in the UK in 2017. This beer looks exquisite when poured. It’s a hazy orange-straw-colour, with a delectable layer of froth on top. There’s a lot of that wheat malt in the bread-like aroma, which has a little sourness that gets the taste buds going. As indicated by the frothy head, this isn’t a flat beer. But it’s not over-carbonated either. There’s a creamy mouthfeel, which doesn’t let slip that this is low in alcohol. The bubbles help bring out the flavour, which is led by sweet malt backed up by touches of banana, clove and biscuit. The sourness continues in the flavour too, which encourages big gulps. This is balanced by a little fruity bitterness. While the taste and aroma of this beer isn’t striking, I quietly enjoyed it. As non-alcoholic wheat beers go, it’s a great example. And it’s easy to get hold of too – you’ll find it in quite a few major supermarkets as well as online.